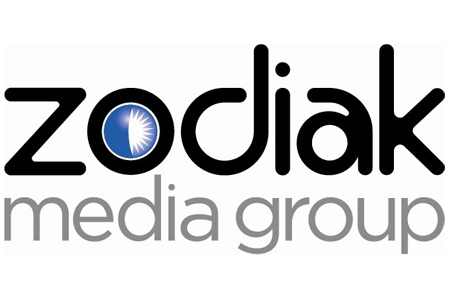 If you’re curious about learning about Zodiak Media and it’s merge with the Banijay Group, simply continue reading to learn everything you need to know about each of the production companies mentioned. Zodiak Media was a once popular and successful French production company which focused on creating dramas, factual programs, reality shows, and kids’ programs. The latter of which were registered under the subsidiary Zodiak kids. Some well-known TV series which were produced and released by Zodiak Media include the kids’ tv show “Totally Spies!”, which featured three female spies who also happened to love fashion. As well as the reality show, “Wife Swap”, which involved two families swapping their mothers for a week or two weeks. As well as the supernatural drama “Being Human”. Which was then remade in different countries, due to its success. Zodiak Media’s headquarters were located in Paris. During 2007-2016 Zodiak Media sold its programs to 45 TV stations in 15 different countries around the world. As an example, Zodiak Media’s programs were sold to TV stations halfway across the world in New Zealand as well as in larger markets such as England and the USA. If you’re wondering how such a successful international production company which sold programs to 15 different countries wound up its business. The simple answer is that Zodiak Media simply merged with another influential media production company theBanijay Group. In fact when the Banijay Group and Zodiak Media merged, the new Banijay Group quickly became one of the largest, most powerful television production groups in the world. Some of Zoidak Media’s assets are still filed under the Zodiak Media Brand. However the vast majority of the company’s assets are now registered under the Banijay Group. The Banijay group is also a French established company and was founded in Paris, France in 2008. The Banijay Group was actually formed just one year after Zodiak Media. So with both companies being French, it makes perfect sense that Zodiak Media were brought out by the Banijay Group. The Banijay Group, also concentrates on producing a wide variety of high quality programs for international audiences and has sold its programs to 16 different territories in Europe as well as countries in other regions such as India, the USA, New Zealand and Australia. Chances are high that you’ve watched at least one Banijay Group produced show. Some popular examples of some of the Banijay’s Group’s most watched shows include the entertainment show “Don’t Forget the Lyrics” and the reality shows “Keeping Up With the Kardashians” and “Wife Swap”. The latter of which was originally a Zodiak Media show. Although the Banijay Group also produce scripted dramas such as “Versailles”, “Occupied” and “Wolf Creek”, many of which have done well on the international stage. In the years to come expect the Banijay Group to continue to produce shows which originally premiered under Zodiak Media as well as shows which first appeared under the Banijay Group such “Keeping Up With the Kardashians”.